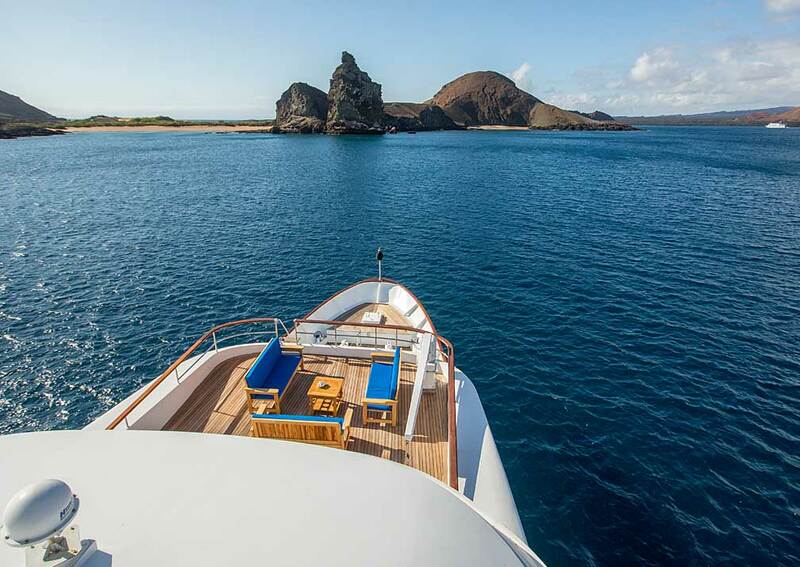 A supremely spacious and luxurious motor yacht available for set cruises and private charters. 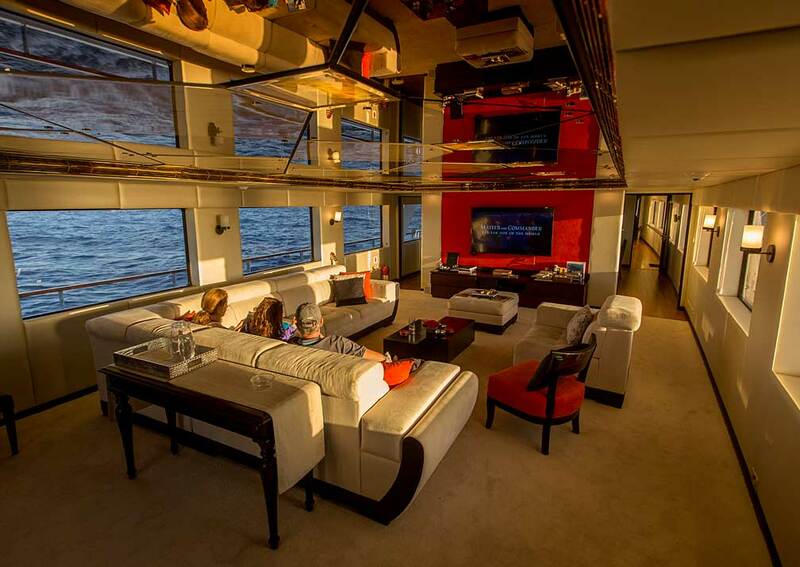 A supremely spacious and luxurious motor yacht available for set cruises and private charters. 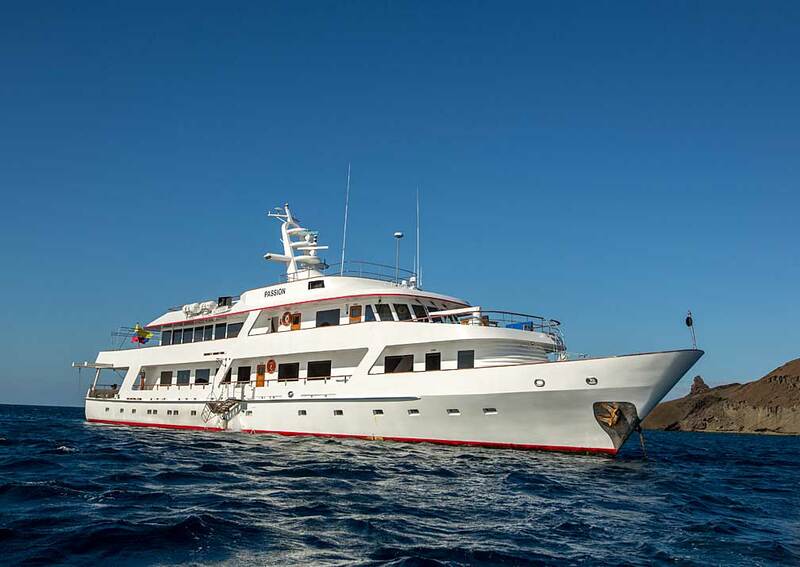 With a maximum of 14 passengers she retains an intimate atmosphere. 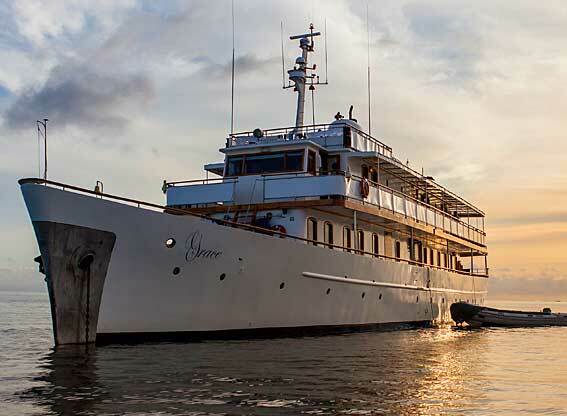 Completely re-fitted for cruising in the Galapagos, Passion offers spacious accommodation spread over 4 decks, with cool, air-conditioned interiors. 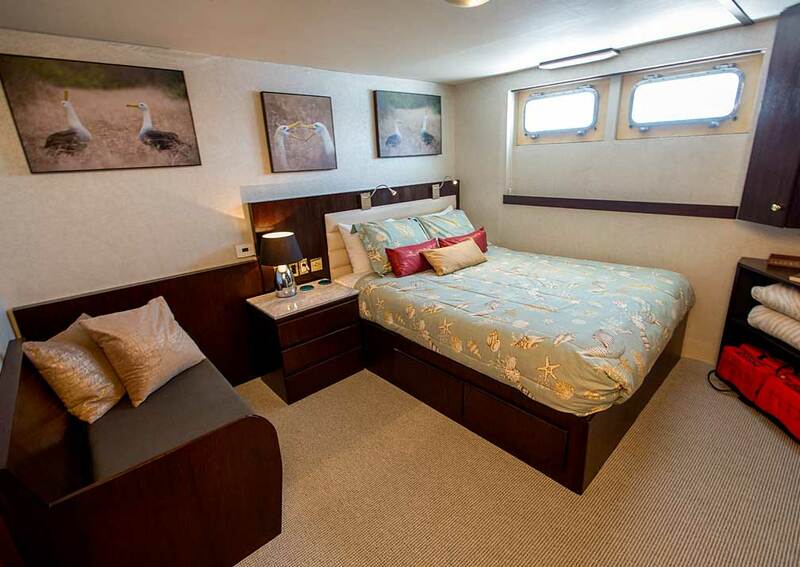 Each of the 5 staterooms has a generously sized bathroom with a bath as well as a shower, while the 2 suites have 2 bathrooms and a lounge area each. All have TVs and usb chargers. 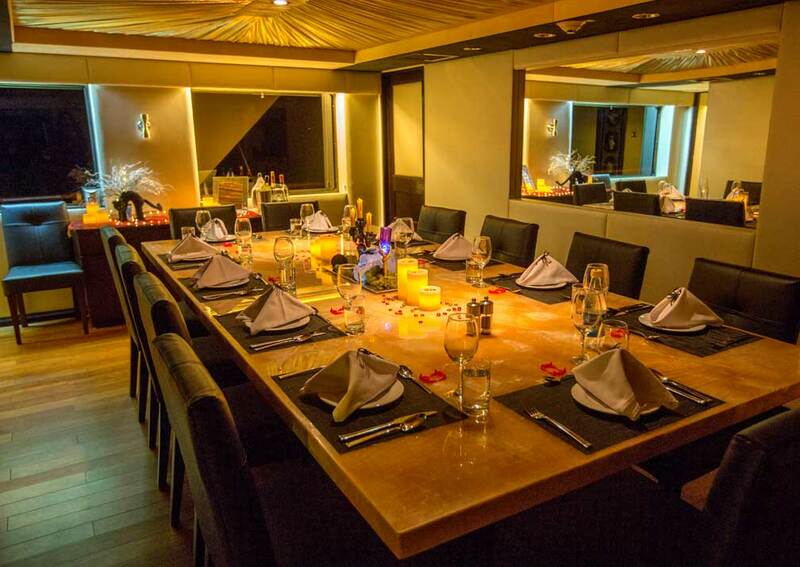 Indoor social areas comprise the dining room and the sky lounge with picture windows and sliding glass doors. 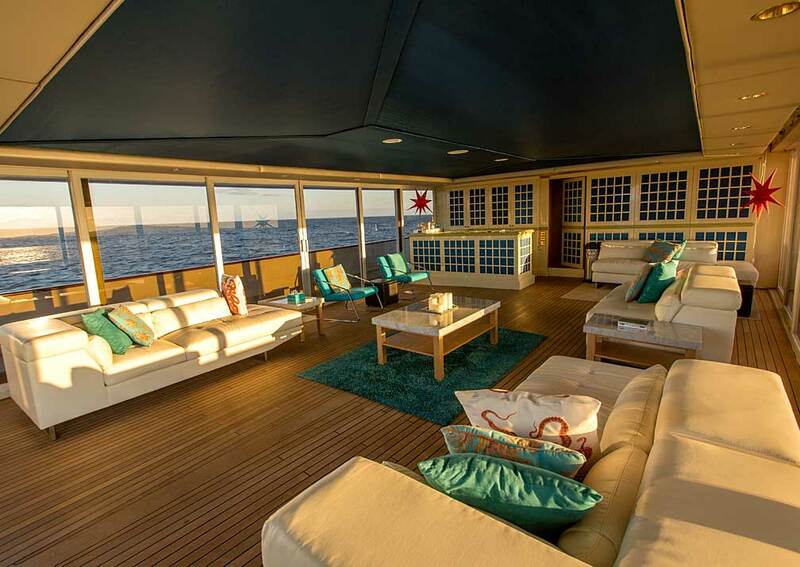 She has lots of outdoor deck space including a sundeck with open and covered areas, sofas, sun loungers and a Jacuzzi. 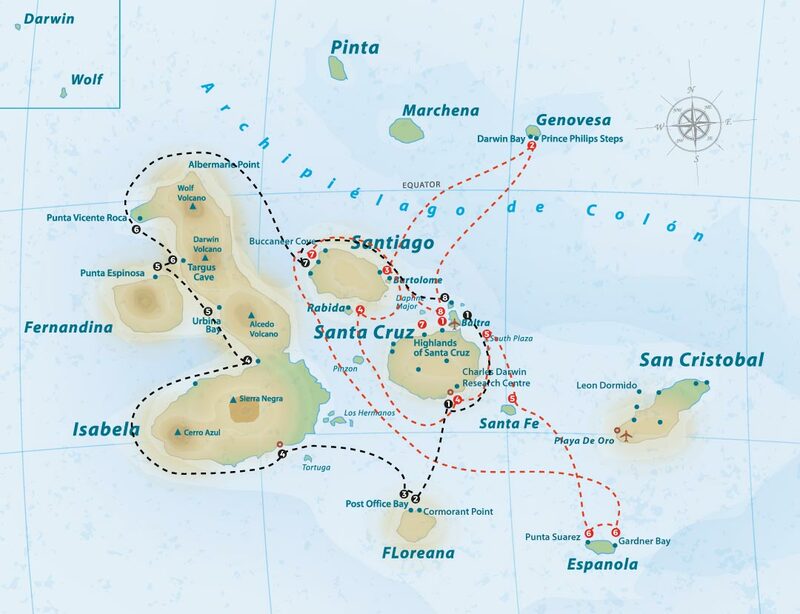 With a high crew to passenger ratio and a very high level of service, you’ll be well looked after on the cruise. 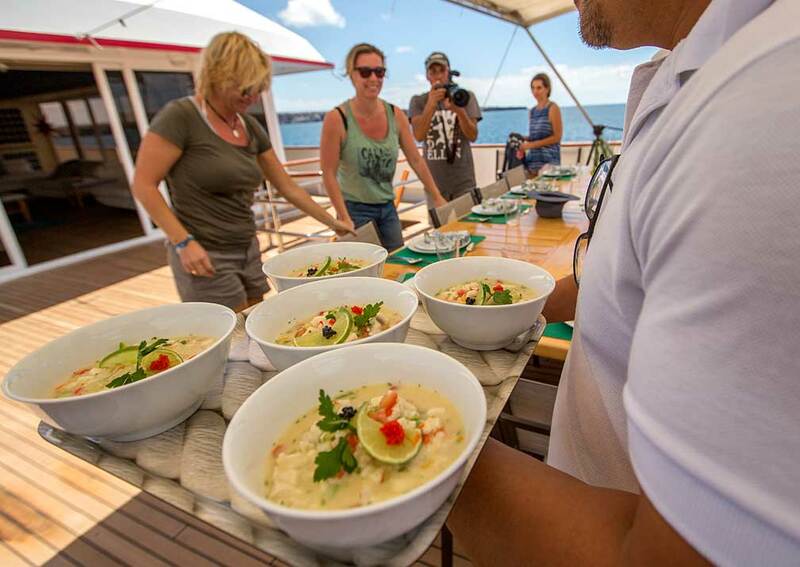 You’ll dine on fine gourmet cuisine indoors or out on deck. There’s also a BBQ area. 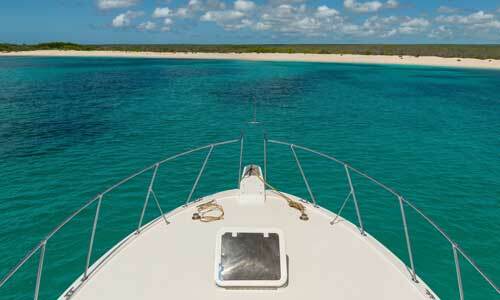 Passion carries snorkelling equipment and kayaks, so you’ll be able to explore for yourself to compliment the twice-daily island excursions led by the naturalist guide. 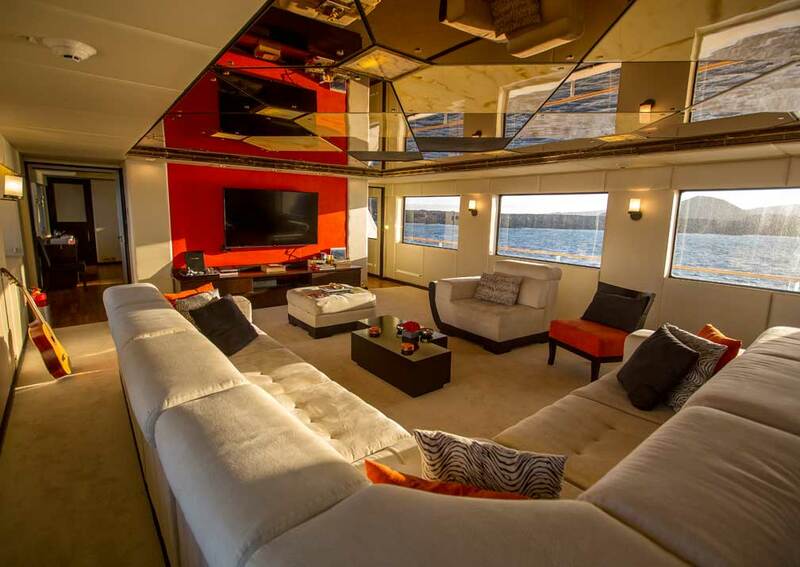 The master suite is on the upper deck. It has a king size bed, his and hers bathrooms one with a bath and one with a shower and featuring Italian marble, a living area and windows. 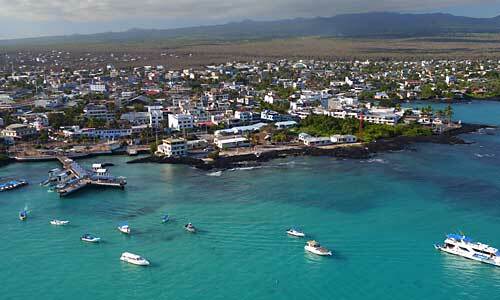 It is fully air conditioned and equipped with TV, charging points and a hairdryer. The VIP suite is on the main deck. It has a king size bed and a sofa bed, lounge, windows, and his and hers bathrooms with a bath and shower and Italian marble, a TV, hairdryer and charging points. It is air conditioned. 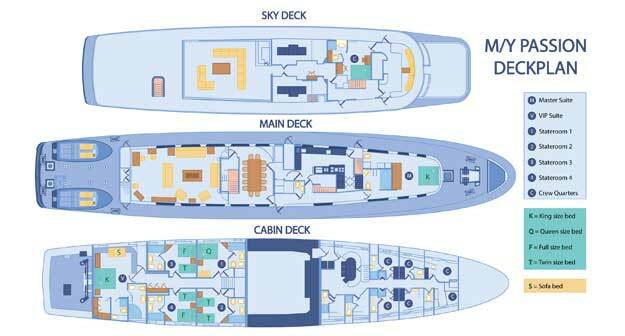 There are 4 staterooms on the main deck and 1 on the upper deck. All are air conditioned, have Italian marble bathrooms with both bath and shower, TV, hairdryer, charging points and windows. 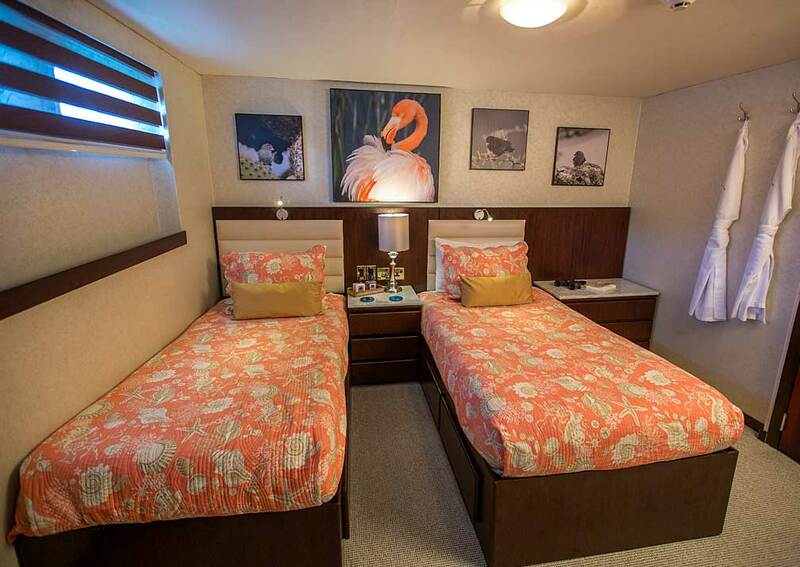 2 of the staterooms have 1 full bed and 1 twin bed each, another has 2 twin beds and the last has a queen size bed. 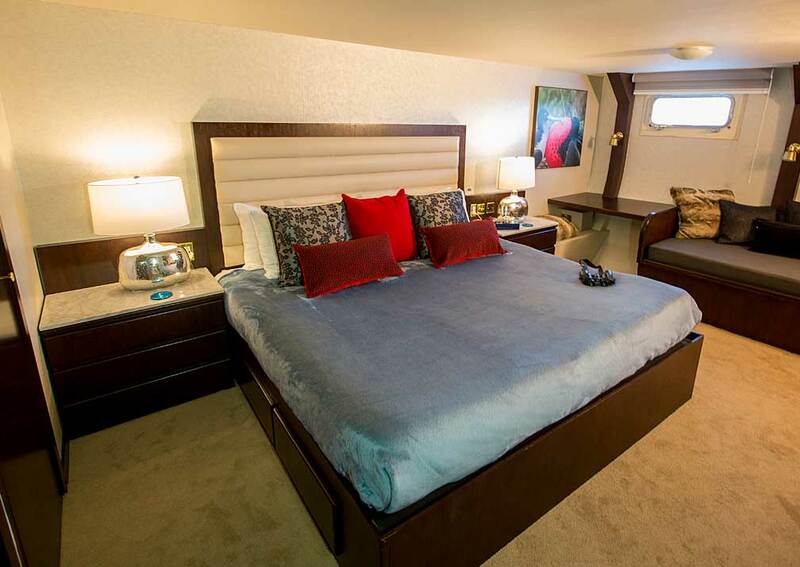 Accommodation: Master suite with king size bed on the main deck, VIP suite with king size bed and 4 staterooms on the lower deck, 2 have both a double and single bed, 1 with a queen size bed and 1 with 2 twin beds. 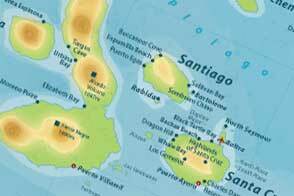 There is another stateroom on the upper deck. All are air-conditioned. 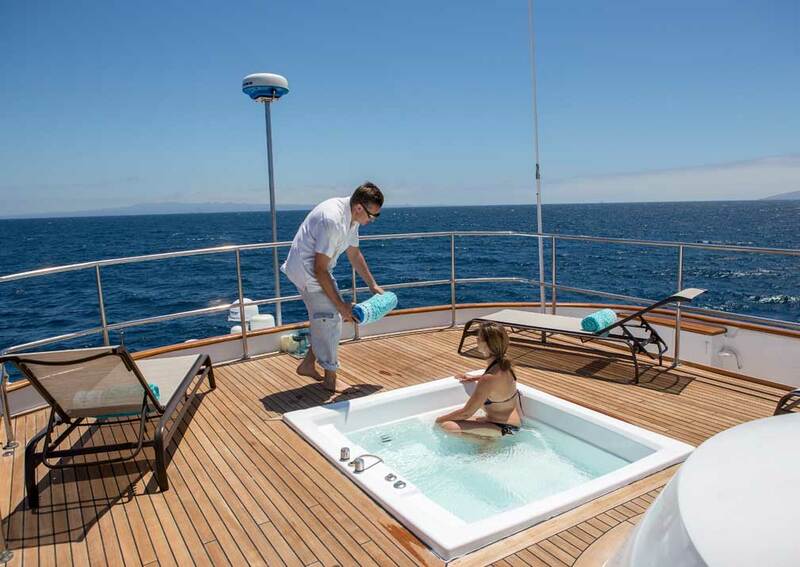 Each suite has 2 bathrooms (his and hers), and the staterooms have large en-suites with both a bathtub and shower. 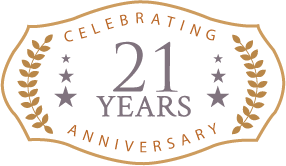 All bathrooms have marble floors, walls and surfaces, hairdryers and hot and cold running water. The suites also have sitting areas. 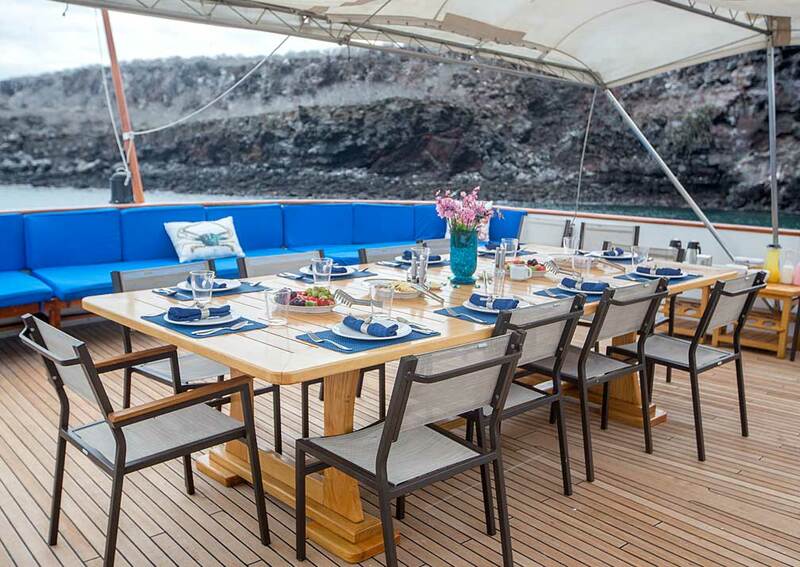 On Board: Dining room with a large dining table, and sky lounge with plenty of seating and a flatscreen TV on the main deck. Upper deck lounge and bar. 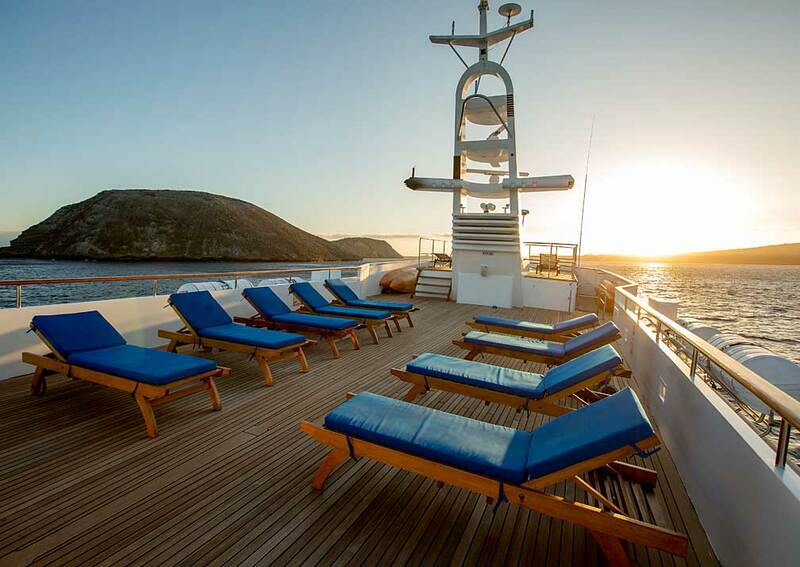 Sun deck with a Jacuzzi and ample seating space, with reclining chairs for sunbathing. 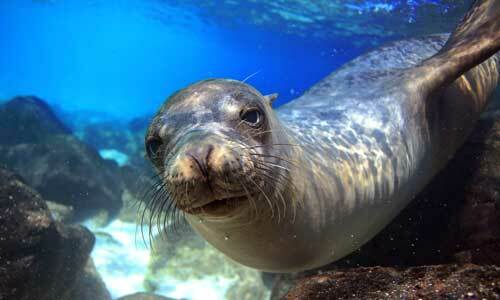 Passion carries snorkelling equipment, wetsuits and kayaks free for passenger use.